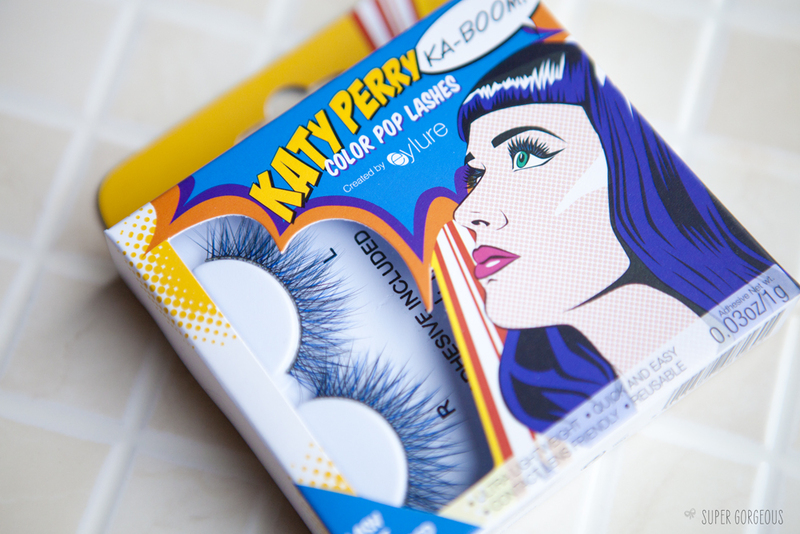 Katy Perry has had a line of false eyelashes with Eylure for a while now - I am yet to try any of her classic collection, but I have always been impressed with all the Eylure lashes I've tried. They're always a failsafe purchase! The latest release from the Katy Perry / Eylure camp is the Color Pop Lashes - a range of lashes designed to give you a pop of colour with the volume and intensity of a false lash. There are three colours in the range - Ka-Boom! (royal blue), Ka-Ching! (peacock green), Ka-Pow! (Purple), and also Ka-Zaaam! 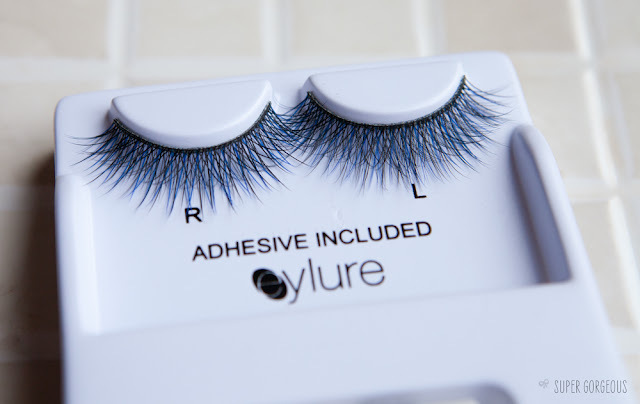 - a pack of individual lashes covering all of the colour options. They look like a set of black false lashes, with another set of coloured lashes, with more sparse hairs, on top - this adds to the fullness of the lash, and means you get the colour coming through without it being too over the top. Of course, anyone can wear any colour they like - but green and blue will bring out brown toned eyes, and blue and green will enhance blue toned eyes. Just to be a little different, I tried the blue - Ka-Boom! The lashes themselves are, as always, great quality. They are rather long and fluttery, and according to Eylure, fit all eye shapes. The glue is included, and they are reusable. As for the colour - is a subtle flash of colour - from a distance, no one would probably know the difference, and up close, it's rather pretty. FAR nicer than coloured lashes! I think they'd be fab for a night at a club or something similar, especially if you like to play up your eyes. They'd also be great with a full-on smokey eye. Sometimes black lashes can get lost against black shadow, so these are a great way to break it up. These look amazing on you. I also love your eye makeup. Which shadows did you use Hun? These look so pretty and do really look as if they make your eye pop. I love the style of them and that the colour is subtle. Will need to look out for these next time I'm shopping! And I'm now 6.45 down hehe!